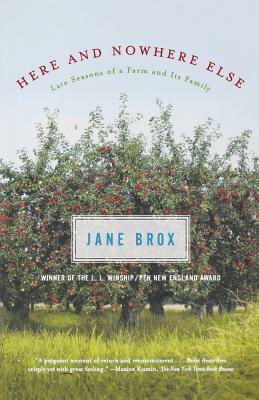 In her first book, which won the L. L. Winship/PEN New England Award, Jane Brox writes of going back to the farm where she grew up, to help her aging father and the troubled brother who works the land with him. She memorably captures the cadences of farm life and the people who sustain it, at a time when both are waning. Jane Brox is the author of "Here and Nowhere Else," which won the L.L. Winship/PEN New England Award, and "Five Thousand Days Like This One," a finalist for the National Book Critics Circle Award. She lives in Dracut, Massachusetts, on her family's farm.